Top Five Barbecues - Which? We round up our favourite top-scoring gas barbecues to make it simple for you to chose a great grill that is going to be easy to use, but - most importantly - will cook great tasting meals. Looking for our full reviews? Click to jump straight to our independent barbecue reviews. 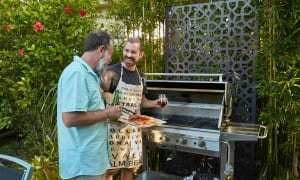 Gas grills can be a pricey proposition; big brands like Weber cost much more than similar models from John Lewis and other lesser-known barbecue manufacturers. It it worth spending that extra few hundred pounds on a name-brand grill? We put every grill we review through a series of tough tests to find the grills that are the best as cooking. We also test for many other aspects, such as how easy it is to build, use and clean. These five grills have topped our tests and we feel they are worthy of a place in your garden. 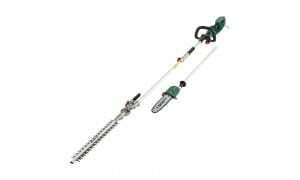 This gas barbecue is designed to be a good starting point for people who want to barbecue on gas. It looks great and boasts useful features, including an enamelled grill and flavouriser bars for smokier-tasting food. But does this gas barbecue for four to six people cook tasty, chargrilled food? Read our full review to find out. 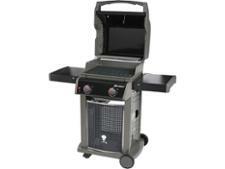 This gas grill with stand is designed to give you the performance of a premium gas barbecue in a small package that's claimed to be easy to store and clean. We sent it to our test lab to see whether these claims stand up and discover if this gas barbecue cooks tasty, chargrilled food. Read on to see if this is the grill for you. 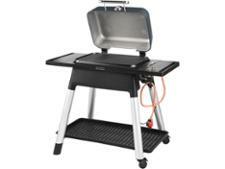 This small and compact two-burner barbecue that would fit nicely in a small garden. It's simple and full of high-spec features, but how well does it cook? We've tested and reviewed this gas grill to discover what it's like to use. Read our review to see if it's for you. This barbecue is described as the perfect blend of performance and convenience, due to its easy-to-use and high-spec features. 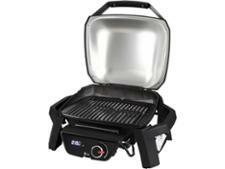 So could this be the ideal gas grill for hosting a family gathering or party? We put its cooking ability to the test. Read our full review to find out how it fared. This gas barbecue has an unusual feature called a Tru-Infrared cooking system that claims to cook with infrared heat and give you juicier barbecued food and more control of your cooking. We tested these claims in our lab to discover if this gas barbecue cooks as deliciously and easily as is claimed. Read our full results to find out. The only way to tell if a barbecue is any good is to see how well you can barbecue a range of different foods on it, which is why Which? does exactly that in our independent lab tests. We ask an expert chef to cook sausages, chicken thighs and pork-and-vegetable kebabs on each one, using all of the features on offer. Then we have a bit more fun tasting and rating the food on how evenly cooked, tender and succulent it as, as well as how good it tastes and looks. Not all barbecues pass this test. Some are plagued by flare-up, so food leaves the grill scorched in some places and undercooked in others. Or covered with an unsavoury black film; resulting from when gas flames hit food cooking on your grill. Other barbecues can cook ok, but are let down by being tediously slow to heat up, or lacking features that make them easy to use. Here are three models that have left us feeling underwhelmed in our tests. This is a three-burner gas barbecue that can cook food for up to 12 people at once, perfect for a gathering of friends or family. It also has desirable features, such as an enamel grill plate and side burner. But before you buy, read our full review of this gas grill to see what we thought of its ability to cook. This 2-Burner gas barbecue costs under £200. You might be tempted, as it is less expensive than some competitor's 2-burner grills, but it won't cook your food to perfection. We've tested and reviewed this gas barbecue to see how it fared against the competition. Login to reveal all. The imposing-looking 4-burner gas barbecue certainly looks like it can grill up a feast. 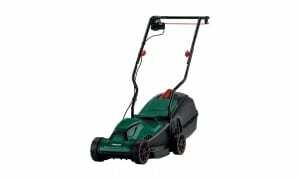 With a lot of useful features and impressive-sounding specifications, but priced below its competitors, you might ve tempted to give it serious consideration. But it did a disappointing job of grilling; login to reveal which grill to avoid. We test thousands of products every year, from electric toothbrushes to cars. When testing barbecues in our lab, we assess far more than just how quickly and effectively they cook. We assemble them first, looking at how well-built and sturdy they are, as well as checking out how easy each barbecue is to move and store. Once they are lit, we see how long they take to warm up, how easy to use and how well they cook, before finishing up with the tricky business of getting them clean again. Haven't found the barbecue you're looking for in our list? Why not visit our Best Buy barbecues.